Cardiff, Cardiff Gate Services - M4 (Junc 30) - Coach Park. Drop off: Thursday 5th September 2019 between 07:15 - 08:00. (Rider transfers need to be booked separately). ONE WAY ONLY TO LAND'S END. To book your bike ONLY on this transport please click on "Departure Dates" above. Change the number of passengers (bikes) if not 1 to your requirements and then click on the trolley "Book Now". We will meet you at your chosen drop off point to collect your bike. Your bike will need to be dropped off on Thursday 5th September between 07:15 - 08:00. From there, we will safely transport your bike to Land's End. When you arrive at the Deloitte RAB base camp your bike will be ready and waiting for you. Please note that only the start time will be stated on all information issued to you. This service costs £96. For this price we will get your bike from your selected drop off point to Land's End. Our price includes VAT (at 20%) and insurance cover for the carriage of bikes up to a maximum of £1500 per bike for damage or theft whilst in transit and on our vehicles. We cannot accept responsibility for claims in excess of this value. If the value of your bike exceeds this amount, extra insurance cover will be required and should be taken out by you. Any damage to your bike must be reported immediately when you collect your bike onsite at Land's End by contacting our onsite representative on 07712 773477. Any claims made after this cannot be accepted. With over 20 years experience in transporting bikes and riders, you can rest assured that your bike will be in good hands. There is an extra charge of £24 if you are taking a bike box or bike bag, as it will need to be transported for you throughout the event. NO ACCESS IS ALLOWED UNTIL JOHN O'GROATS AND IT IS NOT TO BE USED TO STORE EXTRA LUGGAGE. There are a number of drop off points that you can take your bike to. 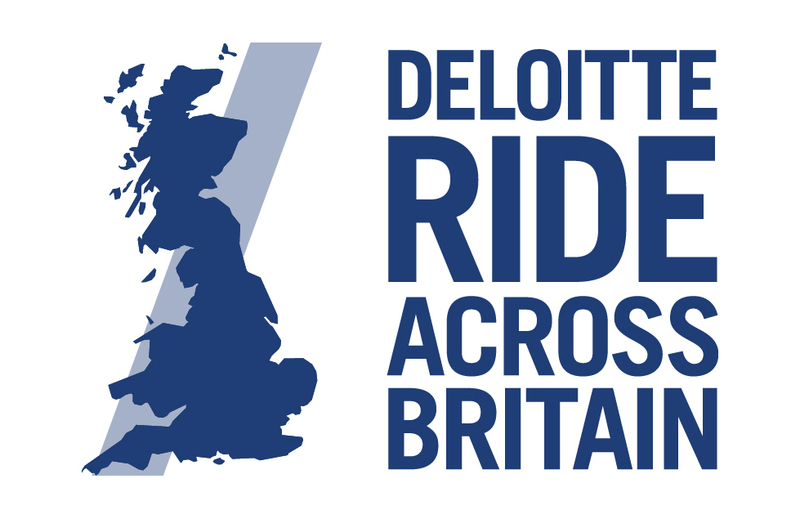 These have been selected to be as convenient as possible for as many Deloitte RAB riders. To view the drop off points, dates and times that each one is available, please click on 'Bike Transport Timetable' under 'Useful Links' (above). This year you can also opt to have ONE piece of luggage transported to LE, from JOG and return to and from the event, maximum 21kg. The additional cost for this is £17 one way, £34 return. CLICK HERE FOR RETURN TRANSFER FROM INVERNESS. If you wish to squeeze in a few more luxuries, you can purchase extra weight. The £96 fee includes bike transport for a one way journey to Land's End. The price includes VAT (at 20%) and insurance cover of up to £1500 per bike for damage or theft, whilst the bike is in our care. We cannot accept responsibility for claims in excess of this value. If the value of your bike exceeds this amount, extra insurance cover will be required and should be taken out by you. How should I prepare my bike before I drop it off? · Cover all tubular sections with pipe lagging (sold at hardware stores). · Remove both pedals (you will need to carry your pedals separately). saddle to their minimum setting where possible. Pack your bike in your own padded bike bag. (available at distinguished cycle shops from £39.99). We can transport your bike bag to John O'Groats for an extra fee of £24 including VAT. (NO ACCESS IS ALLOWED UNTIL JOHN O'GROATS AND IT IS NOT TO BE USED TO STORE EXTRA LUGGAGE). Pack your bike in your own bike box. We can transport your bike box to John O'Groats for an extra fee of £24 including VAT. Where do I find out the exact location of my bike drop off? You can see a map of the drop off points on "Pick-up Points" above. You can manipulate the Google map by clicking and dragging the cursor so that you point is in the centre of the map and then you can zoom in and out by using the '+' and '-' buttons on-screen. The point that you can see on the Google map when you are zoomed in is the exact area where the transport vehicle can be found. Click on "Satellite" to get an accurate picture.